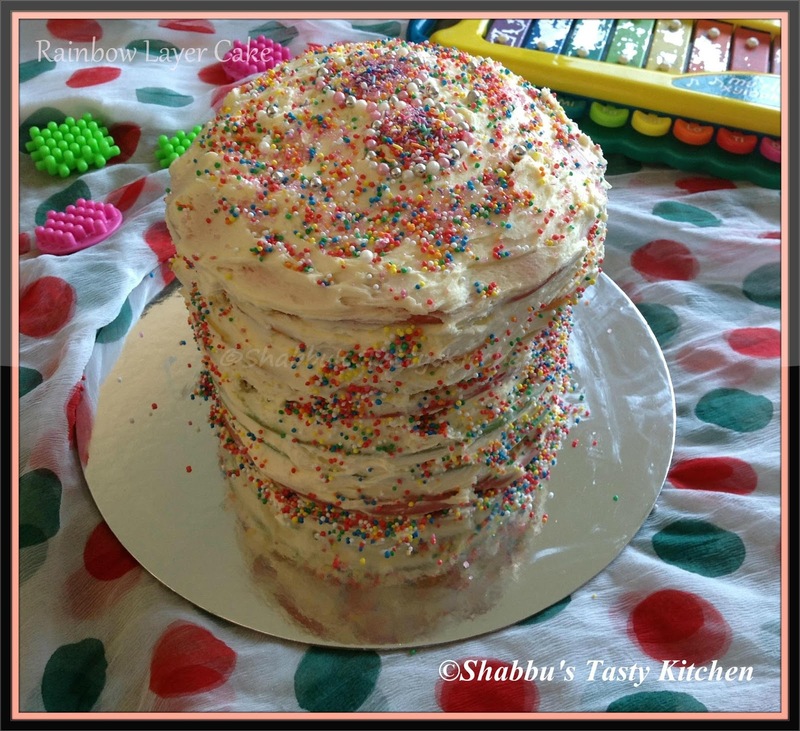 My daughter, Safa turned eight last month. 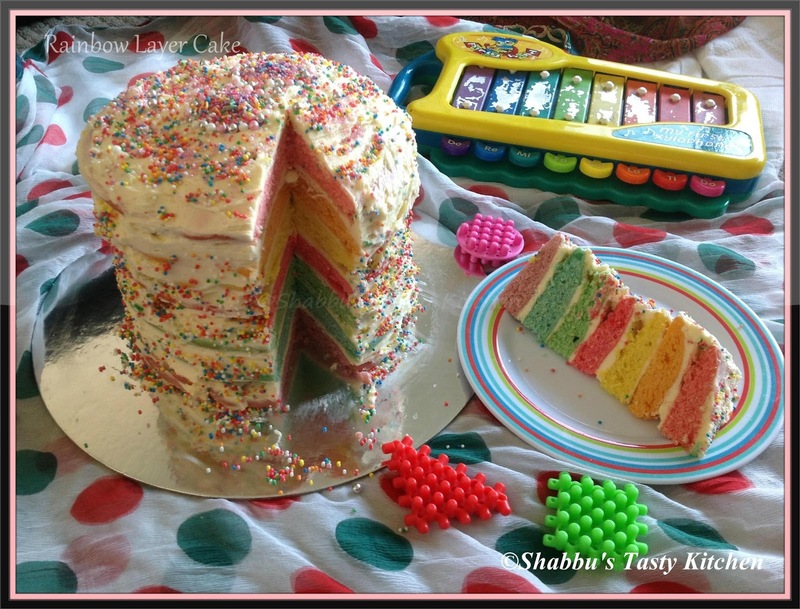 Rainbow layer cake was a special treat for my sweetheart. This cake has seven layers but six layers will be ideal..
Preheat oven to 180 degree celcius. Grease and flour two 8" baking pans and keep it aside. Sift plain flour, baking powder and salt together in a bowl and keep it aside. In a large mixing bowl, beat softened butter, sugar and vanilla essence using a beater till creamy and fluffy. Add eggs, one at a time, beating well after each addition till it is fluffy. Then alternatively add the flour mixture and milk and fold gently using a spatula till it is properly mixed up. Divide the batter in different bowls, depending on number of colours (Here I used 7 colours - purple, blue, green , pink, yellow, orange and red). Add few drops of each colour in each bowl and mix well. Remove cakes from oven and place onto a wire rack and cool for 5 minutes then turn over and let it completely cool..
Bake all the remaining coloured batters like this in batches and cool completely before frosting..
To assemble, place the purple layer as first layer on the cake plate / serving plate and spread buttercream icing over the first layer. Repeat the process with blue, green, yellow and orange layers.